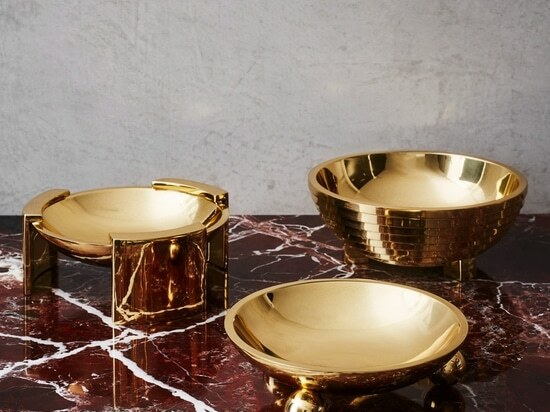 The 50 piece range includes boxes, vases, ashtrays, bowls, book ends, coasters and trays. 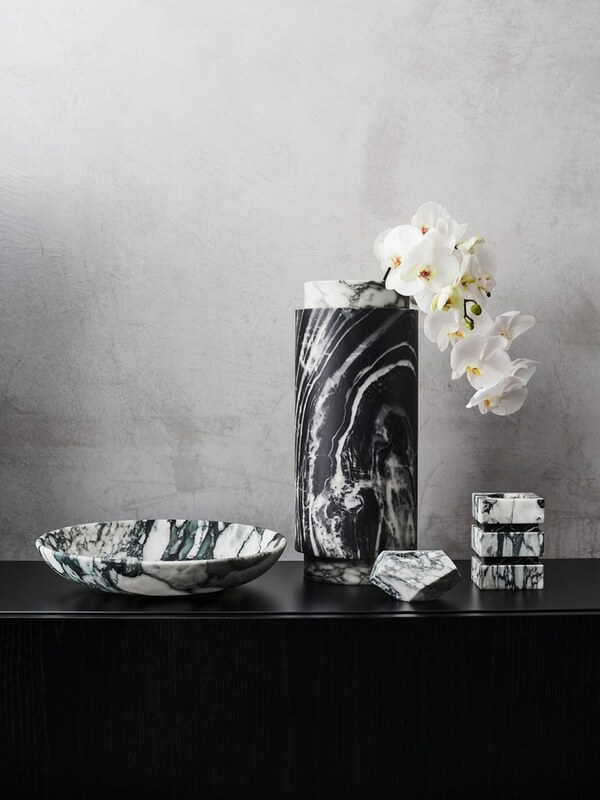 It is Greg Natale's first set of accessories since establishing his Sydney-based interior design business seventeen years ago. He has previously worked on collections of tiles, rugs, carpets and wallpaper. 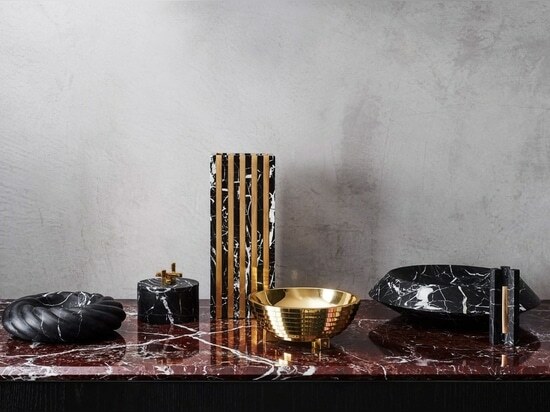 "I love accessories – to me, they are the finishing touch that completes the look of a room," he told Dezeen. "It took some time to ensure that I found the best craftsmen around the world to make this collection. 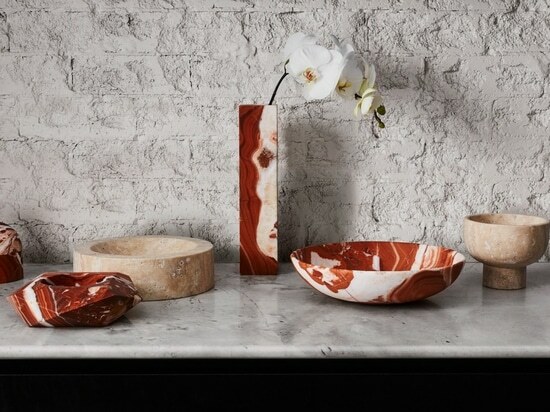 "Three years in the making, the collection makes use of a variety of high-end materials. 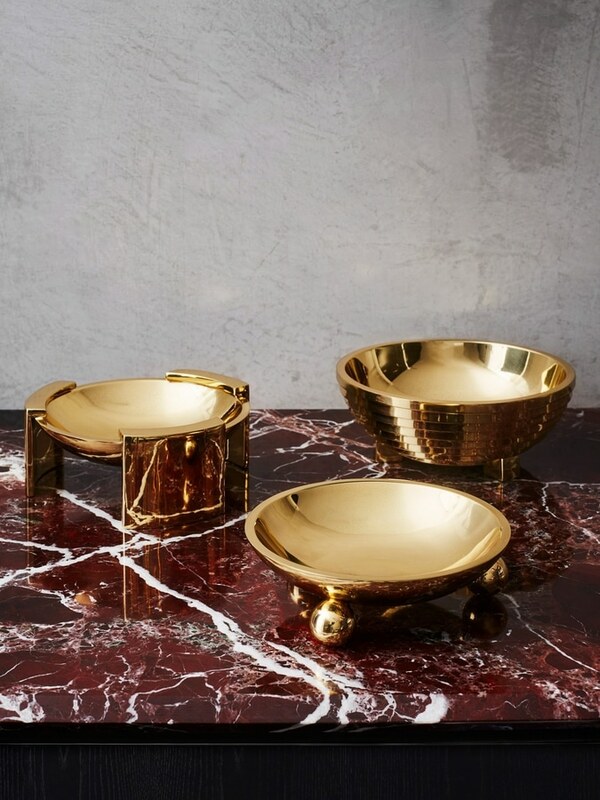 The lids of the boxes are inlaid with dyed shell, the solid brass bowls rest on boule feet or are raised on plinths, while the candlesticks, vases and trays are carved from marble and stone. 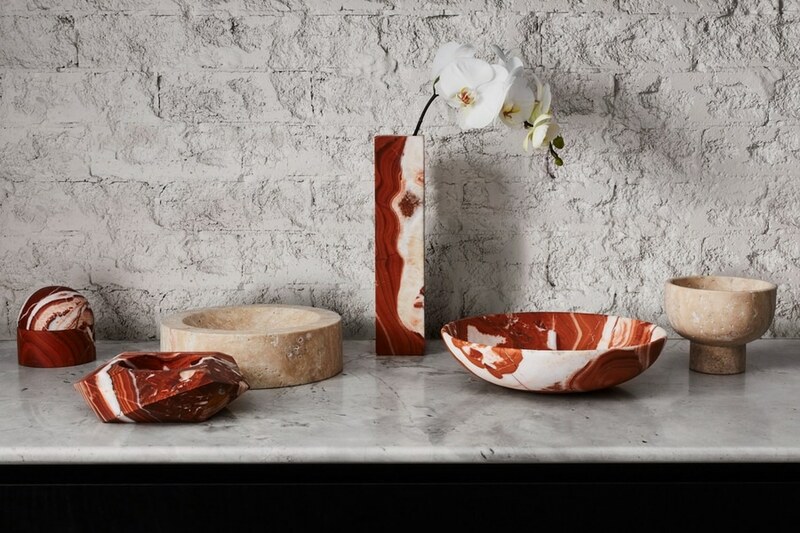 "I love the natural materials of marble and shell – they offer such a wonderful range of inherent patterns and colours. 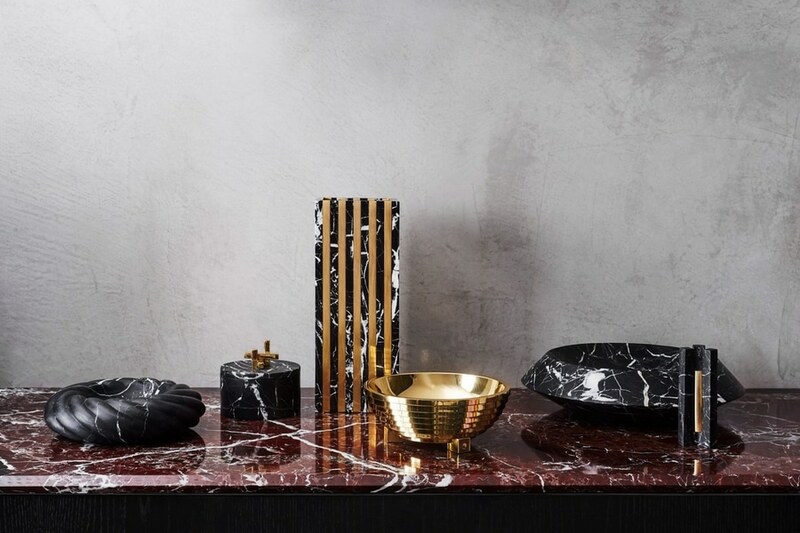 And I have always been a fan of metallics – I think brass brings a warmth and burnished glamour to interiors," said Natale.The decision to launch a collection of accessories was sparked by not being able to find what he was looking for when decorating for clients. He plans to add ceramics to the collection next year. "Sometimes when you can't find what you're looking for you must just roll up your sleeves and create it yourself!" he said.He treated the design process for the range in the same way as he tackles designing rooms, or whole houses for his clients. "Of course the scale is different, but really I approach them in the same way I do designing rooms, which is to treat them as designs in themselves while keeping in mind their role in the bigger creative picture," he said. 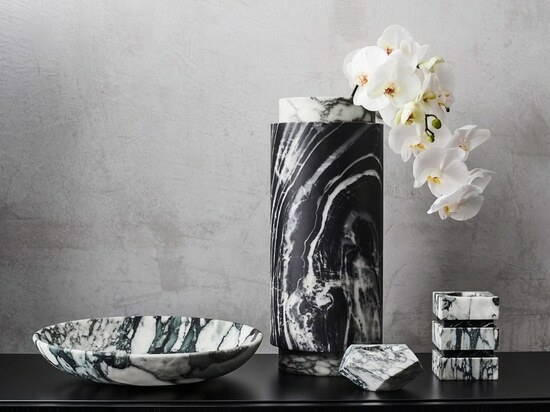 Other designers using marble in their collections include Tom Dixon, who recently launched a collection of green marble tableware, and Mathieu Lehanneur, who's marble furniture mimics the surface of the ocean.